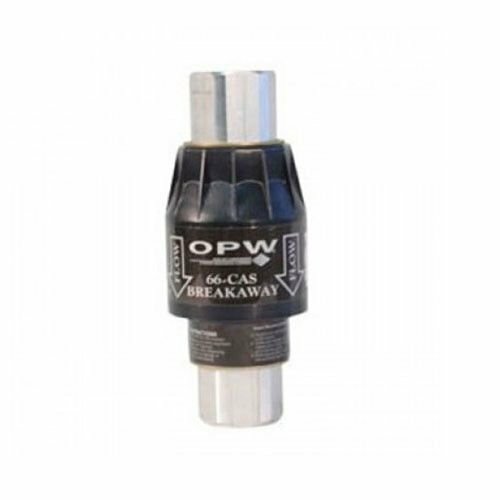 The OPW 66CAS Dual Poppeted, Dry Reconnect Inverted Breakaway is designed to close off the liquid path and the vapor path in the event of a drive-away. Engineered to separate at the maximum of 300 pounds of axial pull force, the OPW 66CAS Breakaway is also designed to handle the line shock better then a single use breakaway, while protecting your dispensing system from catastrophic damage. The OPW 66CAS is developed for use with inverted coaxial metric hoses and designed to meet today's demanding standards.